Ask an Artist: How can I get my projects published? While sharing project ideas and instructions may not be part of EVERY jewelry artists’ mission – it certainly is a huge part of our mission here at B3. We are always in the process if developing more projects and instructions whether that means creating new kits and tutorials, writing and publishing a book (at least for Rebeca!) and contributing to jewelry magazines. The response we get from the projects that appear in jewelry magazines and other publications is often overwhelming and we love that it helps us to introduce chainmaille to a broader audience. The process of getting your work published for the first time however can seem daunting. It may be difficult to know where to start and the experience might even be peppered with doubts: “Is my project really ready to be published?” We decided to demystify this process for our readers by going straight to an expert in this area. Sara Richardson of Lovestruck Jewelry was one of the founding editors of Step by Step Wire Jewelry magazine and as such, has a wealth of information when it comes to submitting your work to be published. Read on for tips about submitting your work and learn more about Sara and her journey to become an independent jewelry artist. Having my jewelry published would be a dream come true but I’m worried I might be a little too “green”. What do you think qualifies a piece, or an artist for that matter, as “ready” to be published? 1. Is the piece something unlike what we’ve published before? 2. Is it a good match for our magazine? 3. Will it be popular with our readers? 4. Does it feature an interesting combination of different techniques? 5. Perhaps the most important question: is the piece technically put together and constructed well enough to look professionally-made? So, keep all these questions in mind when you put together a possible project submission for consideration. If my piece isn’t accepted initially, is it ever appropriate to resubmit the same piece to the same magazine at a later time? Is it appropriate to submit the same project to several different publications? Yes, but I wouldn’t do that at the same time. Take it one at a time. Submit it to your favorite publication first. Then, if it’s rejected, try another. If you submit the same project to multiple publications at once, the project may be accepted by more than one! Sounds good, right? Well, actually, it may not end up being so good for you! While it is flattering to have more than one publication accept, if they find out it’s going to be published in another publication, it may be scrapped! Or, if they find out about each other, it may be scrapped from both of them. Publications like magazines and books, and even online, have to abide by copyright laws, and they don’t want to risk legal action from this conflict. If you have any question about copyright issues or a possible conflict, make sure you ask the editor. I don’t see as many chainmaille projects in magazines as I do bead and wire projects, which publications do you think are the most chainmaille friendly? Unfortunately, there aren’t many magazines devoted just to chain maille. The problem is that each jewelry-making magazine has to try to reach out to multiple demographics in order to sell their issues. They do their best to strike a balance so that as many readers as possible will be satisfied. I would recommend checking out Interweave’s Step by Step Wire Jewelry (BBB’s Rebeca Mojica is a contributing editor and helps edit all their chain maille projects), or Kalmbach’s Wirework special issue magazine. Each has a good selection of chain maille projects. But, fret not, maillers. The editors know that chain maille is growing in popularity, and takes industry trends that into consideration when developing new specialized publications! How do I find out if a publication (print or online) is accepting submissions? Is it appropriate to just contact them at any time with my work? 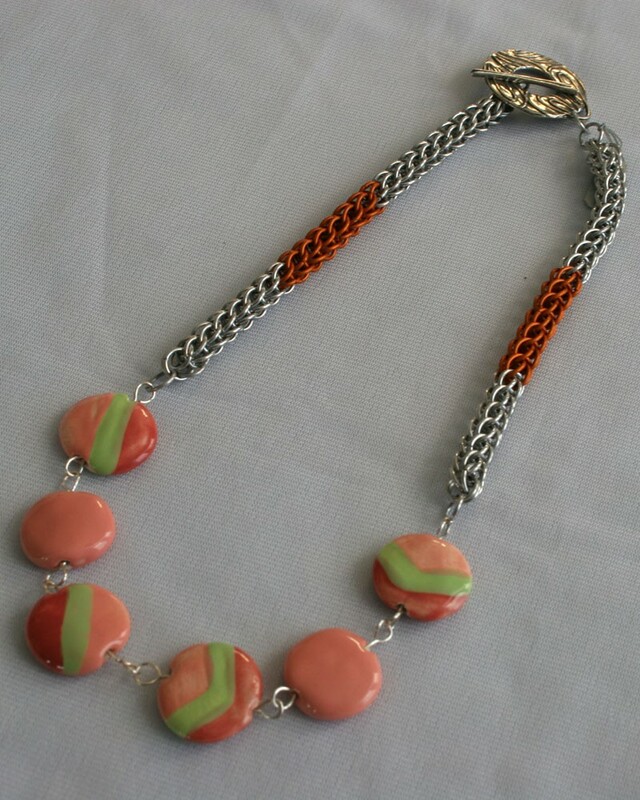 When you were at Step by Step Wire Jewelry, what were the first things you would look for in submissions? Did you have any “deal-breakers” that would make you reject a proposal right off the bat? Even though I was an associate editor, and not the editor-in-chief, I was often involved in thumbs-up or thumbs-down decisions. Again, the piece has to be well-made. For instance, a chain maille piece needs to be woven properly, with jump rings completely closed. 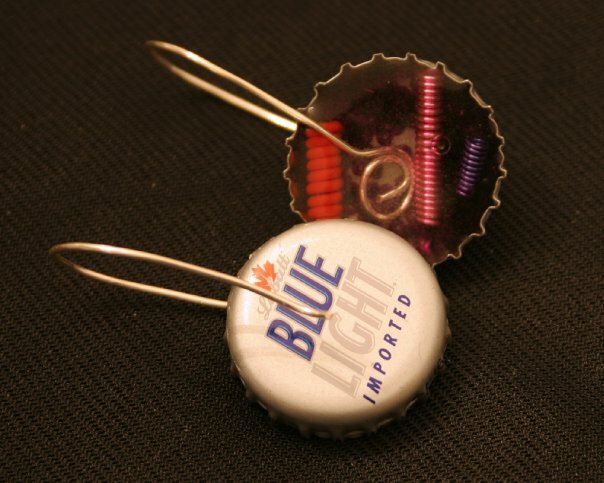 A wire project should have neat, clean wire wraps. And, the piece most of all needed to primarily feature wire techniques. I would also recommend making sure your proposal or e-mail is spell-checked and grammatically correct. Nothing turns off an editor more than a glaring error, or worse, multiple errors! Your piece may not necessarily be rejected, but it’s a warning to the editors that your written project may be difficult to tackle. It was part of my job to help make sure that the technical instructions were easy for our readers to understand. If we couldn’t understand the technical information to make the piece ourselves, the readers wouldn’t be able to get it either. Even though the piece of jewelry may be gorgeous, what good would it be to publish it if nobody understands how to make it themselves? Don’t risk your piece not being published because the written text is too hard to understand! Is it better to upload images or mail in photos when trying to get your pieces published? 1. Attach them in an e-mail to the editor. I recommend you first send a warning e-mail to the editor, alerting them that your photos are on the way. Also, only send them a few at a time. If you have 30 step photos at high resolution, and attach them all in one e-mail, it will bounce back. Instead, I would send them no more than five photos at a time. 2. Send your photos on an FTP site like Sendspace. You can upload several high-resolution photos, and you can send an editor a link so they can go to the site to download the photos. If you feel that you aren’t that technologically savvy, by all means, burn the high-resolution photos onto a CD-R or a DVD-R. Make sure you send the disc early enough in the publication process just in case the editor finds a problem with any of your photos. What are your favorite blogs right now? I really enjoy Jewelry Making Daily. (And I’m not just saying that because I’m a contributing editor!) It has a ton of great tips on wire, chain maille, and metalworking, not only written by the editors, but lots of industry experts. I also follow blogs created by my jewelry-making friends. 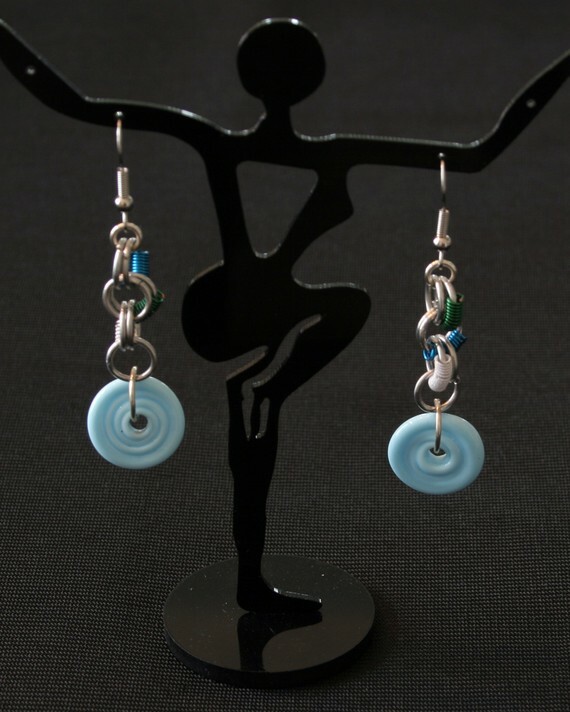 One of my favorites is by Cindy Wimmer (www.sweetbeadstudio.com). What inspired you to make the leap to start your own business? It was very difficult to take that leap. I really did enjoy my job at Step by Step Wire Jewelry. I did a lot of soul-searching and a lot of talking with my husband. It was very important that I had his support, not only because we would be going down to one steady income for awhile, but also because he plays a vital role in my business. He takes the photos for my Etsy page, he is designing my Web site, and also plays a role at shows I do: helping me set up, break down, and take orders. The moment when I felt the most confident in starting a business was when my mother-in-law hosted a jewelry party featuring my work which was very successful. That got me thinking, and believing—if I spent more time doing this and concentrating on this, I can turn it into something good. I could be my own boss and do the things that make me happy, primarily making jewelry and to be a writer and editor on my own terms. But I am still very involved with those good people at the magazine. Currently, I have been writing media reviews and projects, and may even be doing some upcoming freelance work for them. Has your experience with Step by Step Wire Jewelry influenced the way you approach your own business? Yes, it definitely has. I know the proper way to submit projects, and I have a ton of confidence in my writing and editing abilities. I picked up great tips about how to perfect my craft and was exposed to so many different techniques. 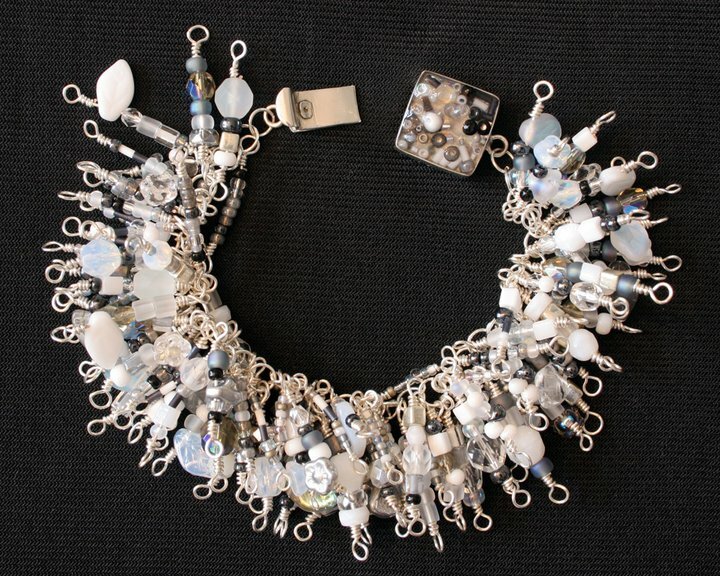 And, by working at several Bead Fest shows put on by the magazine’s company, Interweave, I also crafted my sales skills and learned how to effectively promote and sell my work in a public setting. Also, the informative articles that we published in the magazine and on Jewelry Making Daily has helped me develop my Web site, and introduced me to the beauty of social media and marketing. I think all of this experience gave me that much more confidence to spread my wings and open my business in August 2010. What made you fall in love with chainmaille? 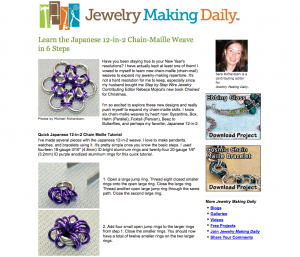 I was exposed to chain maille in my first months at Step by Step Wire Jewelry. I saw a beautiful foxtail bracelet made by one of my fellow editors at the time. However, not knowing much about jewelry at the time (I was hired because of my editorial experience) I never believed I could make something like that myself. 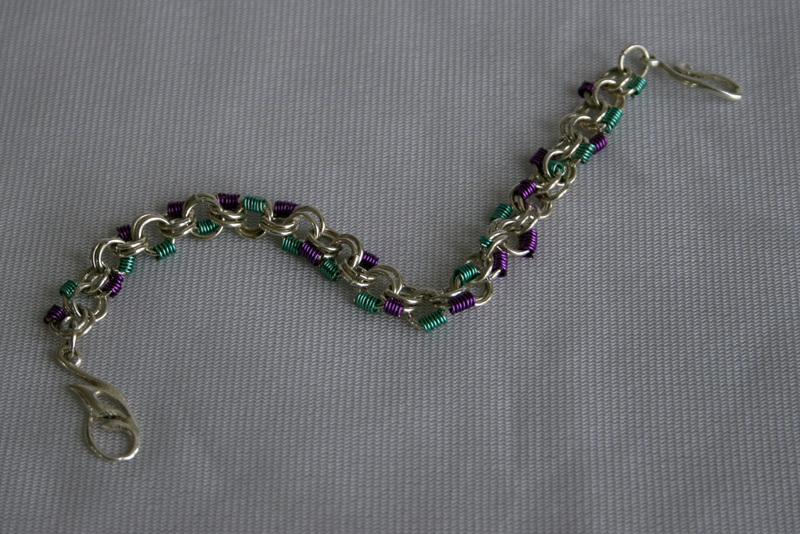 I took a chain maille class at Bead Fest about a year later, but I couldn’t understand the weave, and almost gave up. When Donna Ryan-Kocun’s Colorful Foxtail Necklace was offered at Bead Fest Wire, I decided to try again. By using the large anodized aluminum rings I finally “got” it! Then, I tried the weave with smaller rings and it still worked. My chain maille adventure began. Now, I’m pushing myself to learn more complex and advanced weaves to expand my repertoire. I’m gaining more and more confidence every day. Now that you are a professional jewelry artist, do you still experiment with different techniques and styles or have you found a niche that you are sticking to? Since working at the magazine, I was exposed to so many different techniques, and it’s hard for me to narrow my art to just one of the techniques. I love working with colored craft wire, Swarovski crystals, and anodized aluminum jump rings. I also enjoy making mixed media pieces, like bottle cap pendants filled with resin. But I would like to add and expand my chain maille inventory, and in 2011, I intend to. But most of all, I love to work with color, and no matter what kind of piece I make, it all comes together in a bright, vibrant rainbow! 2 Comments on "Ask an Artist: How can I get my projects published?" We’re blushing–I’m glad JewelryMakingDaily.com is one of your favorites, Sara! I love it when you share your chain-maille expertise with our readers. Thanks Sara and BBB for such an informative write up! This is such a wonderful, thorough write-up of the magazine process. I don’t think I knew that much about it when I started! Magazine editors want to find new talent and hopefully your Q&A will inspire more new designers to take that leap into publication.